I've always been a pet lover. Ever since I was a little girl and my parents brought me home my first hamster I have loved animals more than almost anything else. It didn't take rocket science for me to decide that I wanted to eventually be a veterinarian, so it was no surprise to anyone that I did indeed pursue my dream of working with animals as a profession. I did surprise people, however, when I coupled that dream with a smaller dream of raising and breeding dalmatians. I think my love for dalmatians began when I saw the infamous movie about them during my childhood. I think I was mostly intrigued with how unique and beautiful they were. So when it came time for me to purchase my first pet, there was little question of what I would choose: a dalmatian. I quickly found, however, that I couldn't stop with just one. I purchased three dalmatians within six months and was absolutely loving my life. My dream of breeding and training dalmatians in my free time began shortly after I owned these first three dalmatians. They were such beautiful dogs and they were so easy to train and to take care of. I thought about how magical it would be breed this great dog so that many other people could experience the pleasure of owning what I believe is the world's best dog. 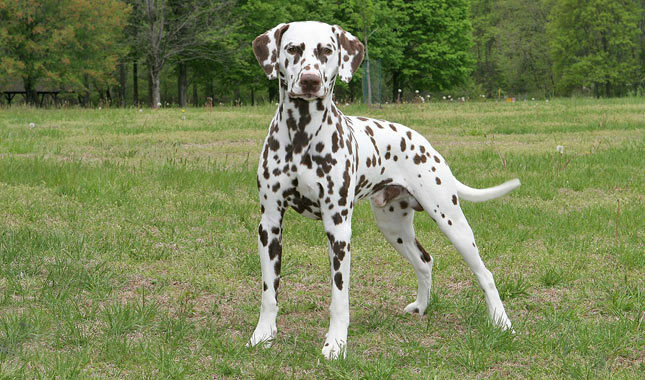 If you are looking into getting a dog for your family's pet, then seriously consider getting a dalmatian. Do a little research to learn about the breed and see if it would fit the needs and desires you have for a pet. Talk with owners of dalmatians and see what kind of experience they have had and what kind of advice they would give to other dalmatian owners. And talk with your veterinarian for their perspective on what kinds of dogs and other pets might be wise for you to choose. Having an animal is one of the greatest joys and privileges in life. I fell in love with owning dalmatians. See if you might not fall in love with owning them too. They are fun to play with and run with, yet they are not so needy that they take up all of your free time. They love to be both indoors and outdoors and they usually house train relatively easily. There are many benefits to having dalmatians the way I see it. But then again, the way I see it might just be a little biased.